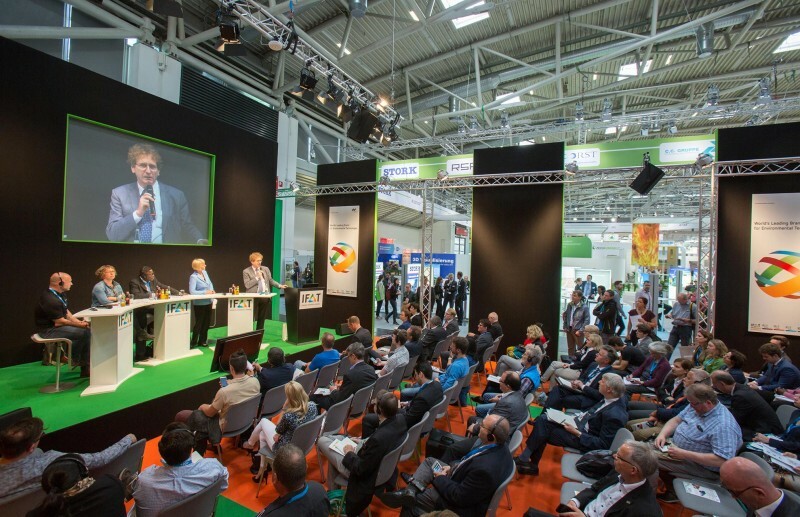 More than 3,100 exhibitors and over 135,000 visitors are expected to attend IFAT from May 14 to 18, 2018. But the World’s Leading Trade Fair for Water, Sewage, Waste and Raw Materials Management held at Munich’s exhibition center offers much more than great figures: its extensive supporting program that comprises panel discussions, specialist presentations and live demonstrations will examine future topics of the environmental technology sector at expert level. The Forum Water & Sewage in Hall B2 will focus on “Recent developments in water policies”. At the event’s core are strategies, current research results and technical possibilities to reduce trace substances and micropollutants, including pharmaceutical residues. Analytical methods for drinking water monitoring will also be discussed, on Wednesday for instance. And representatives from industrial production will also benefit from the forum. Background: water is a central resource in most industry sectors, from the food and beverage industries to the chemical and pharmaceutical industries. On May 16 and 17, the event’s major topic digitization will shape the program, including Industrial Water 4.0, Export Opportunity Water 4.0 and the energy efficiency of treatment plants. The Day of Municipalities in the Session Area Water on May 14 in Hall B2 specifically addresses cities and communities with a presentation series on flood water and heavy rain prevention. The field of waste and secondary raw materials is dominated by the central question of how to close raw material cycles in the long term. Example: at the 2nd European Resource Conference held on Wednesday in conference room B11, top-class experts will introduce their ideas on a sustainable resource policy and eco-design. The new special area “Best practice circular economy—the material flow of aluminum” in Hall B4 will demonstrate how to complete a material flow cycle. A 360-degree film will take visitors on a virtual journey through aluminum recycling. Also the Forum Waste & Secondary Raw Materials will discuss new ways of the industrial circular economy. The series “Perspectives of the industrial society” will for example examine the question of how to introduce electric mobility to public services. StreetScooter GmbH, a subsidiary of the Deutsche Post DHL Group will demonstrate that this is possible: in Hall A6, the company will present their own-produced electric vehicles. This year’s IFAT will devote many discussion opportunities to the current law changes, including the Circular Economy Package and Plastic Strategy of the EU (Tuesday) and the German packaging law (Wednesday), and to the changed market conditions, for example with the series “Open markets for waste for recovery” on May 15 or with the Country Special China on May 17 (Forum B2). A total of seven live demonstrations in the two outdoor areas of IFAT promise some spectacular insights. Visitors to the Truck in Action show in the Outdoor Area F7 in the eastern part of the exhibition center will have the opportunity to discover new models of waste collection and winter road service vehicles, trucks or sweeper devices. 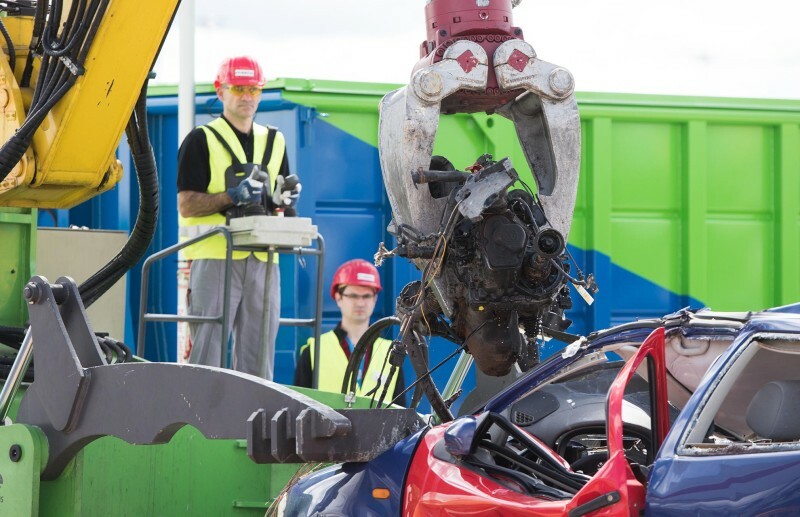 Here, spectators will also learn how a complete vehicle is dismantled to individual parts and prepared for recycling. In the Outdoor Area F3 in the north of the trade fair venue, a live demonstration will show how contaminated water can be turned into drinking water in crisis situations to save lives. These are just a few examples from the extensive presentation and demonstration program that involves many ministries, the conceptual partners and the partner associations of IFAT. The entrance fee includes the access to all events. A complete overview is already available now on the IFAT website and will be retrievable in the IFAT app end of April. 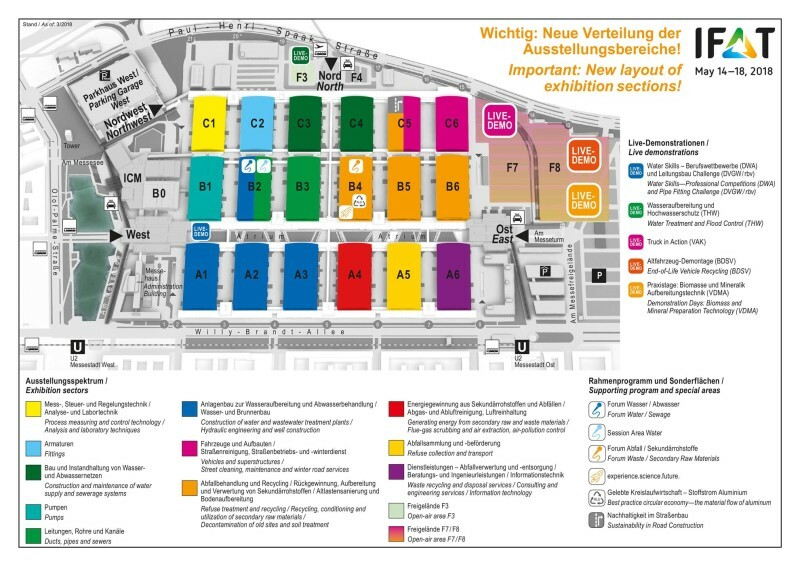 For the visitors to reach their destinations fast on the exhibition site that has been expanded by two halls, the organizers changed the layout: all Water & Sewage program items and exhibitors will be located in the western part of the site, accessible via the West Entrance; the section Waste & Secondary Raw Materials can be found in the eastern part (East Entrance).